Looking for a special event for your science class or astronomy club? Want to get your group fired up about physics…? …or hear about cutting edge research from those working in the field? We offer a range of free physics and astronomy presentations to school groups within an hour’s drive-time of Cardiff. Staff are sometimes available for schools further afield, but there may be small travel costs involved. 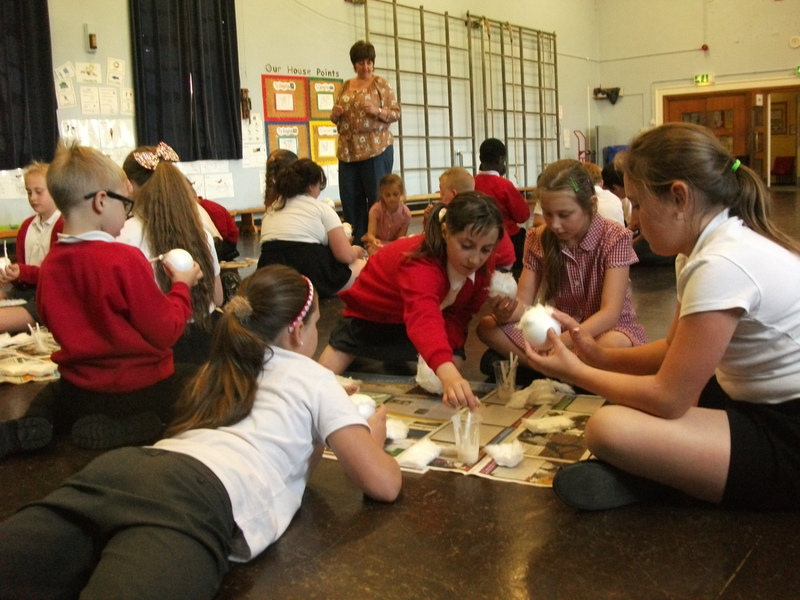 Free inspirational workshops offered to Welsh primary schools, covering a wide-variety of inspiring space topics, from the Solar System objects such as the Moon, the planets and asteroids, to the distant Universe. Workshops are hosted by knowledgable and enthusiastic undergraduate and postgraduate students from Cardiff University. Design your own space telescope, based on a range of “mission scenarios”. You need to select the size of the mirror, the instruments, where it will be launched from and were it will orbit, and even the rocket you’ll use. What do different astronomical objects look like when seen in different parts of the electromagnetic spectrum? Match them up and explore the differences. Introduces the concept of an infinitely vast Universe and introduces various units used in astronomy that account for the massive scales of the Universe. It also introduces red-shift as well as expansion of space via the Hubble constant with the help of some simple experiments. Finally, it exlpores the Cosmic Microwave Background and its implications for the make up of the Universe. Shows how long it can take to travel in the solar system, the size of the solary sytem and the kind of wondrous objects which can be found in the wider Universe. It introduces the concepts of star clusters, nebulae and galaxies and solidifies this knowledge with a fun game of Messier Bingo. Find and investigate exoplanets using data from LCO’s network of telescopes.